High-power laser generation using Yb-doped double-clad fibres with conversion efficiencies in excess of 80% have attracted much attention during the last decade due to their inherent advantages in terms of very high efficiency, no misalignment due to in-built intracore fibre Bragg gratings, low thermal problems due to large surface to volume ratio, diffraction-limited beam quality, compactness, reliability and fibre-optic beam delivery. Yb-doped fibres can also provide a wide emission band from ∼1010 nm to ∼1170 nm, which makes it a versatile laser medium to realize continuous-wave (CW), Q-switched short pulse, and mode-locked ultrashort pulse generation for various applications. In this article, a review of Yb-doped CW and pulsed fibre lasers along with our study on self-pulsing dynamics in CW fibre lasers to find its role in high-power fibre laser development and the physical mechanisms involved in its generation has been described. 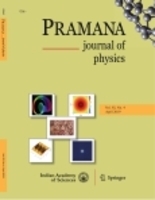 A study on the generation of high-power CWfibre laser of 165Woutput power and generation of high peak power nanosecond pulses from acousto-optic Q-switched fibre laser has also been presented.